Could The Porsche 911 Carrera GTS Be The Perfect Sports Car? It may not be the fastest of the Porsche 911 lineup. That’d be the 911 Turbo S. Nor is it the most track-focused. That’d be the 911 GT3. And by a wide margin it’s not the cheapest 911 you could buy today, but the 911 GTS may in fact be the most perfect premium sports car out there. 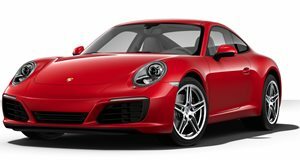 Like all previous GTS-branded models, the formula Porsche goes by is pretty simple: take the best elements from other variants, in this case, obviously, the 911, and combine them into a single package. It’s sort of a culmination of everything Porsche learned from the current model all rolled into one. In this case, the result, the 991 911 GTS, is more or less a farewell to the 991 before the upcoming facelift that’ll arrive next September. So if you have the means, is the 911 GTS the one to buy? Check out XCAR’s review if more convincing is required.